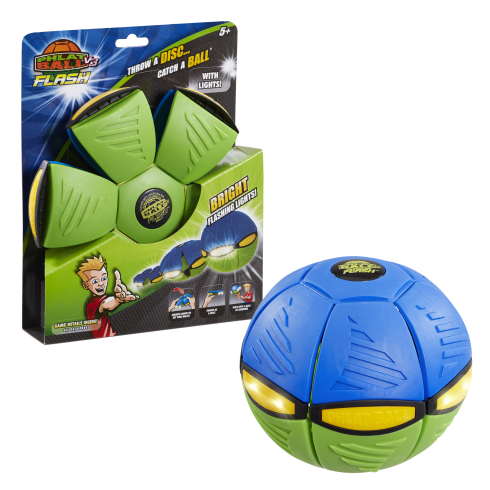 Phlat Ball Flash lights up for day & night play! Unique toy that transforms from a 9” flying disc to a 6” diameter ball when thrown! 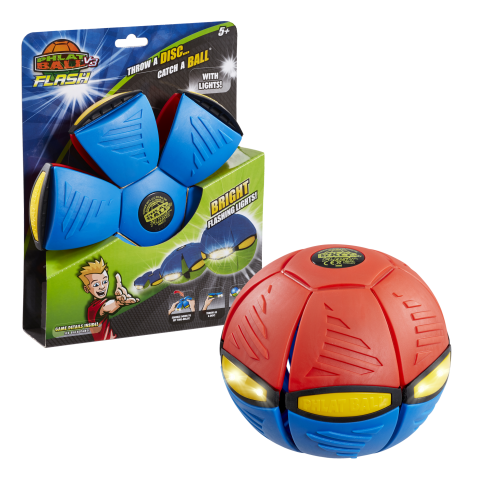 The lights are activated by an impact switch when it is pressed into a disc or pops into a ball and continues to flash for 12 seconds!